Opening batsmen Sunil Narine and Chris Lynn tore the Rajasthan Royals bowling attack to shreds to help Kolkata Knight Riders score an easy eight-wicket win in their IPL match on Sunday. Chasing a below-par 140 for a win, Narine, who scored 47 runs, and Lynn, who made 50, shared a 91-run opening stand that took the game away from Rajasthan Royals, helping KKR reach their target in just the 14th over. Both Narine and Lynn hit six fours and three sixes each. Robin Uthappa, who scored a steady 26 runs from 16 balls, including two maximums, saw KKR home along with Shubman Gill. Earlier, Rajasthan Royals struggled to score freely when batting. The slow track at Sawai Man Singh stadium in Jaipur looked like a difficult one, with the ball not coming on to the bat easily. The stadium was also engulfed by a sandstorm before the match. Captain Ajinkya Rahane was sent back in the second over, and Australian batsman Steve Smith partnered with Jos Buttler to put a competitive total on the scoreboard. They added 72 runs from 10.4 overs. 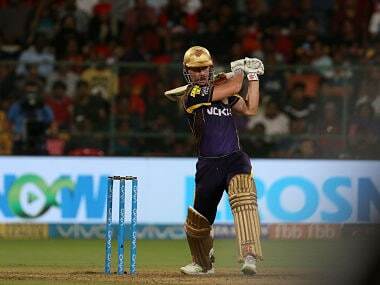 Smith, who has been circumspect in this year’s IPL, struck his first half century of the season. 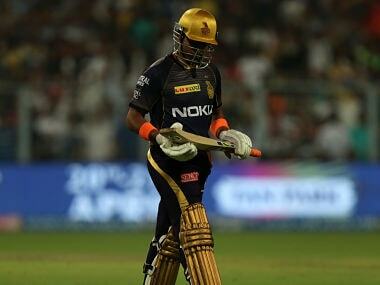 He remained not out on 73 off 59 deliveries, scoring more than half the runs in Rajasthan’s score of 139/3. The team’s big hitter, Buttler, made an uncharacteristically slow 37 runs from 34 balls. The first six of the game came as late as the 12th over. 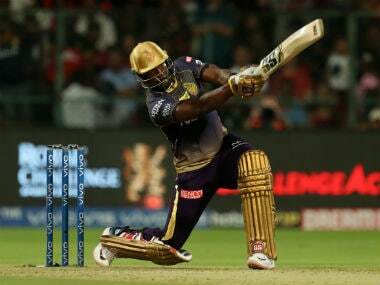 However, KKR’s chase saw boundaries come thick and fast as Narine and Lynn rendered the nature of the track irrelevant. They now lead the points table with eight points from five matches. In an earlier IPL match on Sunday, Delhi Capitals handed Royal Challengers Bangalore their sixth consecutive defeat. RCB’s beleaguered batsmen found the going tough on a difficult wicket after being invited to bat first, and managed just 149/8 in 20 overs. With the ball not coming on to the bat, skipper Virat Kohli scored unusually slowly, picking singles before hitting two sixes late in his innings. In nine overs, RCB scored just 53 runs. Kohli eventually fell after making 41 from 33 balls. Were it not for Kohli’s 41 and Moeen Ali's 18-ball 32, RCB would have fallen well short of a par score, thanks to another unimpressive performance by Bangalore’s top order. South African bowler Kagiso Rabada was in great form on Sunday, taking 4/21. He claimed the wickets of four RCB batsmen, including those of compatriot AB DeVilliers and Kohli. RCB’s dreadful fielding ensured Delhi Capitals had no major hiccups in their chase of the small target. Shreyas Iyer played a captain's knock, making a 50-ball 67. 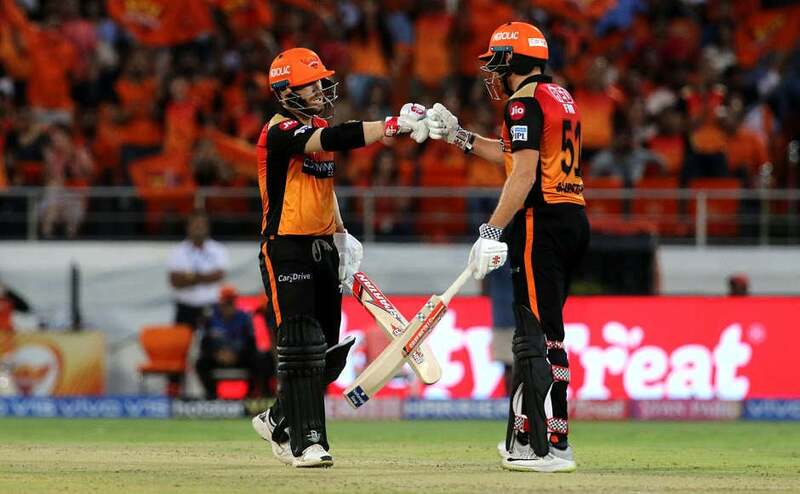 He anchored the chase with some crucial partnerships as Delhi overhauled the target with 7 balls to spare, bringing DC’s IPL campaign back on track. Prithvi Shaw and Colin Ingram scored twenties to give Iyer company as Delhi Capitals went about the chase in clinical fashion. With just five runs needed to win, Delhi survived some anxious moments after losing Chris Morris and Rishabh Pant. Both batsmen fell when going for glory, which brought a smile to the face of an otherwise frustrated Virat Kohli. Axar Patel then hit a four to take Delhi home. In badminton news, Chinese badminton ace Lin Dan clinched the Malaysia Open on Sunday after an electric performance against compatriot Chen Long to claim his first major title in two years. In a nail-biting 78-minute contest, the world number 16 smashed his way back to victory with a final score that read 9-21, 21-7, 21-11. Sunday’s win is sweet one for Lin Dan - it comes after several early round exits since January, including at the Indonesia Masters, German Open and the All-England. It is his first major success since taking the Malaysia Open in 2017. In the women’s draw, Taiwanese top seed Tai Tzu-ying clinch her third consecutive Malaysia Open title after a dominant 21-16, 21-19 triumph over Japan's Akane Yamaguchi. Chinese shuttlers dominated all the other events, winning the mixed doubles, women's doubles and the men's doubles. Indian table tennis player G Sathiyan booked a berth at the World Cup after finishing sixth in the ITTF-ATTU Asian Cup in positions 5-8 match on Sunday. Sathiyan, who had stunned World No 14 Chun Ting Wong of Hong Kong on Saturday, couldn't produce his best against 17-year-old Lin Yun-Ju of Chinese Taipei, who notched up an 11-4, 11-8, 11-8, 14-12 win to finish fifth. Fresh from his recent title win at the Challenge Plus Oman Open, Lin, ranked 21 in the world, looked far superior to the 28th ranked Sathiyan. The left-hander was at his usual best and quickly took the first game. Sathiyan managed a few more points in the next two games but Lin, exploiting the angles well, mounted the attack to put pressure on the Indian. Sathiyan had two game points in the fourth set and could have taken the game from Lin, but the teenager outplayed Sathiyan to pocket that game as well. Premier League news now. Arsenal were haunted by their dismal away form yet again as Phil Jagielka gave Everton a 1-0 victory that dented the Gunners' Premier League top-four bid on Sunday. Jagielka was drafted into Everton's starting line-up at the very last minute, thanks to Michael Keane’s illness. The defender made the most of his call-up with the game's only goal in the early stages at Goodison Park. Everton had already threatened from one of Lucas Digne's long throw-ins before the fullback delivered the set piece that led to Jagielka's opening goal in the 10ht minute. It was the former England international's first goal since April 2017, as he became the oldest player, at 36, to score a goal in the League this season. Everton, who won against a top-six opposition for the first time in 26 games on their last home match against Chelsea, managed to repeat that feat with a minimum of late scares. As for Arsenal, it was another forgettable away-day flop for the Gunners who maintained their wretched record as the only club in the top four divisions of English football not to have kept a clean sheet on their travels this season. Unai Emery's team remains fourth in the Premier League. However, they are ahead of fifth-placed Chelsea only on goal difference as the race to qualify for the Champions League heats up.